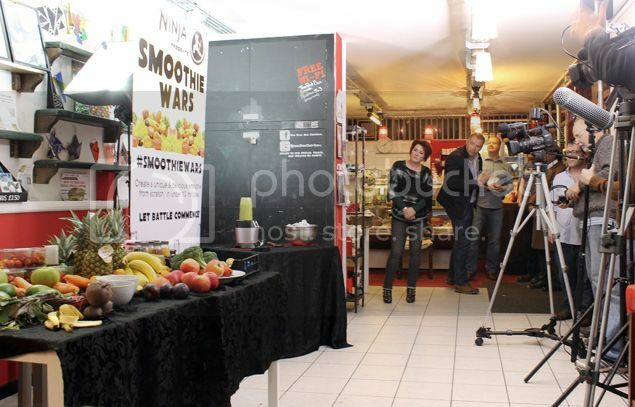 A few weeks ago I was invited to an event called #SmoothieWars for a brand called Ninja Kitchen at The Post Box Cafe in Chorlton, so I didn’t hesitate to RSVP yes. 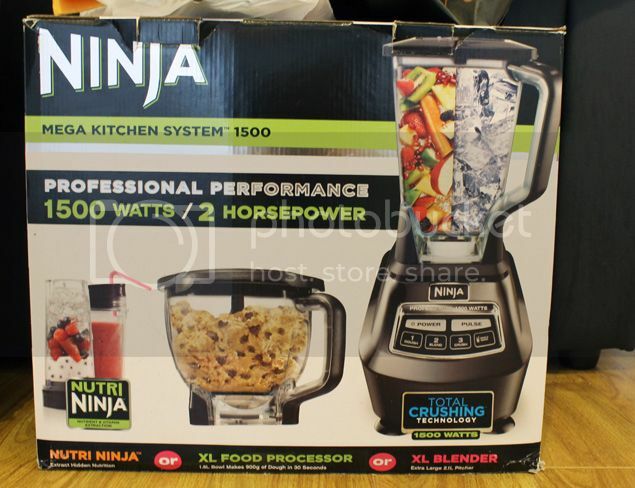 I must say I’d never heard of Ninja Kitchen before so a quick Google search revealed that they make predominantly blenders and processors. My friend also told me he’d seen them on QVC and they looked really good, so that was enough justification for me, I was sold! After a couple of drinks, we were talked through the format of the evening. 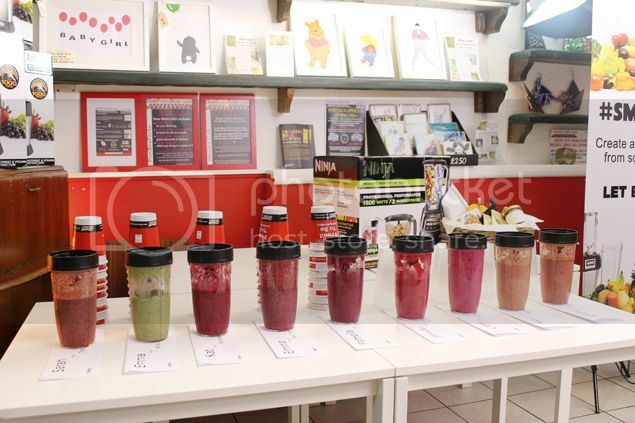 We were going to be creating our own smoothies from the ingredients provided and then judge each others (eek!) 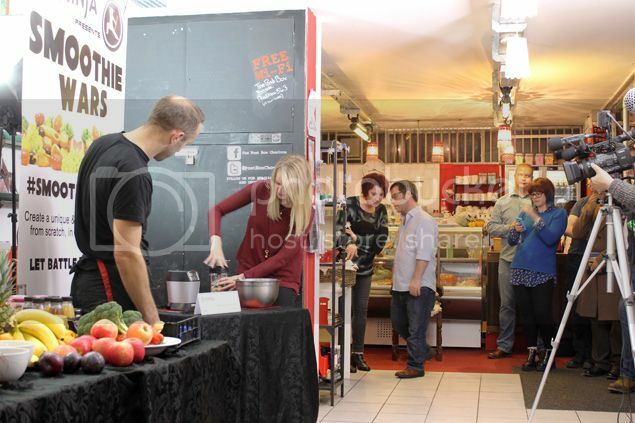 and the top score would win a prize of a Nutri Ninja Mega Kitchen system and a hamper from The Post Box Cafe. It was amazing to see how many ingredients they’d provided, including weird and wonderful ones such as chilli, broccoli and chocolate sauce. I had some idea of what kind of smoothie I would make, but when I saw there was no ‘milks’ of any kind, only juices so I had to rethink my plans.We were split into groups of two and each group took 10 minutes to add any ingredients they liked into their cup before taking turns to add ice to our smoothie and give the blender a go. The Nutri Ninja doesn’t continuously blend, it stops and pulses to ensure you get everything evenly mixed and no chunks at the bottom, which I’m sure we’ve all had that happen to us before. 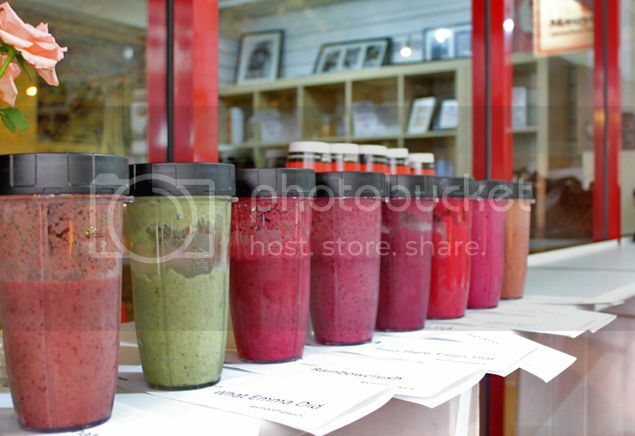 There were two blending programmes, the blend one at 30 seconds and the ultra-blend one which was slightly longer at 60 seconds. I went for the longer setting as I wanted my smoothie to be really smooth but it really didn’t need it as it was already mixed after just 30 seconds. I was really impressed with how the blender performed and how it broke the ice and ingredients with ease, I daren’t put ice in my current blender unless I want to smell an overworked motor. What’s even better is the cup doubled up as a drinking cup with a sip n seal lid so no more rooting around in my cupboards for an adequate container, I can make my smoothie and take it with me! We took a quick break where we were able to load up with the leftover fruit and vegetables, which I happily obliged. After all it would cut down my food bill for the week. We also sampled some canapés provided and oh my goodness were they tasty. If the Post Box Cafe’s food is all like that then I’d recommend you go now! I definitely will be going back to sample more of their delights. Our canapés included little bruschettas of smoked salmon and cream cheese, halloumi and roast vegetables, steak and blue cheese, and brie and cranberry (I think!). 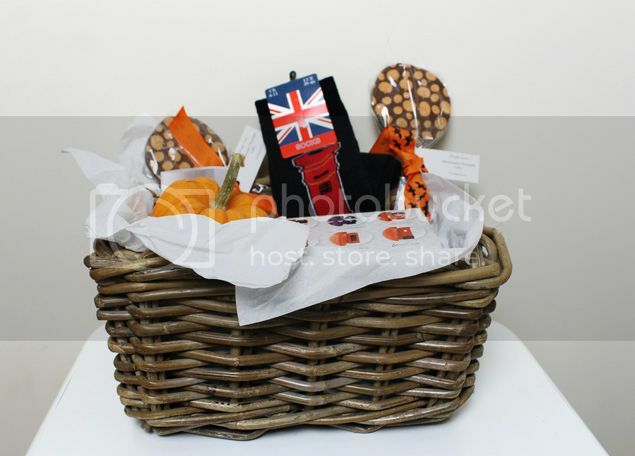 After we’d each tasted each other’s smoothies and scored them they were passed to the staff to tally up and I was really surprised and ecstatic to find out that I’d actually won the kitchen system and the hamper which included two mugs, a post box themed cruet set, some chilli jam and some socks which I’ve given to Harry as they are far too big for me! Although I’ve not been to many events so far it was one of the best one’s I’ve been to. I had a really good time, met some lovely people, the event was fabulous and well organised and to top it off I came away with some really cool stuff. 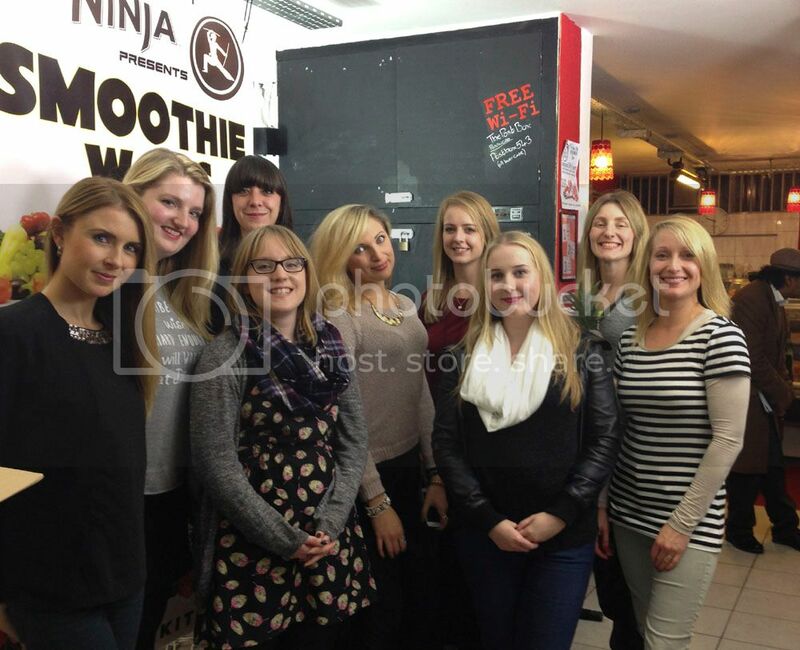 Thanks to Ninja Kitchen, The Post Box Cafe and Coffee Pot Digital for organising and hosting the event. 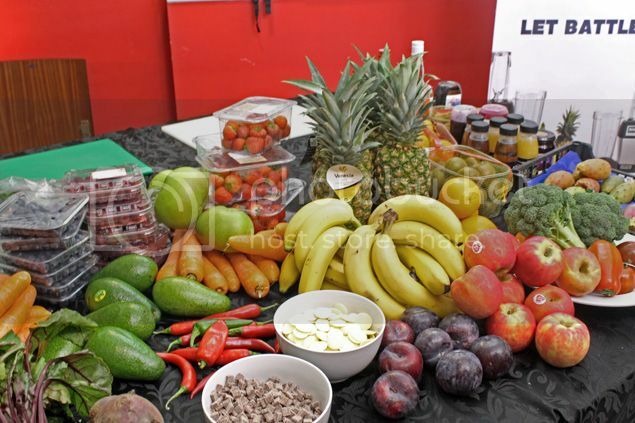 Add all the ingredients into the blender and blend.